As human consciousness increases, more options are available to us for healing, learning, creating and being. New energies are available now to our use which allow for these processes to take place very rapidly and with only a fraction of the work they previously required. Your soul, core essence, higher self - call it what you will, is the source of everything in your life. All that is needed for healing of any aspect, whether physical, emotional, mental, or other, is to decide to be healthy, and to let go of the unbalancing factor causing this lack of health. This has always been true, yet now the response time of the universe in manifesting our decisions can be very quick - if we allow it to be, by believing it is possible and by opening up to the energies which make it possible. I employ several modalities to facilitate these processes for you. Creating the appropriate space in which healing or change can take place, and assisting you in finding and bringing the appropriate energies into the process. Reconnective Healing for physical, emotional or mental healing; The Reconnection to maximize your ability to exchange energy with your environment for health and manifestation; Aspectology to integrate the many facets of yourself into one sovereign being without internal conflicts; The Work, to identify your incorrect thoughts and free you from the suffering and conflict they induce. Healing, all healing, takes place when you decide to become healthy, though this is often an unconscious decision. The body knows how to achieve health instantly, but generally is restricted from doing so by one's beliefs and is further restricted by the energetic imbalances which we all have. 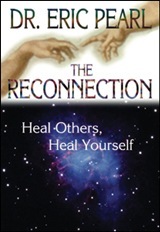 Reconnective Healing facilitates the communication between soul and body that healing is permitted and requested, and cell to cell about how to achieve it.. The practitioner serves as a conduit through whom the full spectrum of healing energies are available to support this process of rebalancing, and subsequently, of health. A typical session lasts about an hour, and in most cases no more than 3 sessions are recommended for any particular healing. Once, the body's energy flow was connected to those of the Earth, solar system and universe. This connection has for the most part been lost to us over time through our way of living. The Reconnection restores this connection. Your consciousness creates everything in your life by broadcasting your desires and choices outwards, in turn drawing in the appropriate energies to manifest them into reality. This exchange of energies between yourself and the external world is central for all that is, or isn't, in your life. Reconnecting can release energetic blocks which have been preventing or retarding change and creation on the one hand. On the other, it speeds up and increases the ease with which we create, change or renew the various components of our lives. up to three days apart. Your core consciousness creates Aspects to manage and fulfill each part of your life. You have aspects for being a child, parent, friend, for driving, cooking, singing, and so on. Aspects are created at need, and reintegrate into your consciousness when their work is done, along with the experience, wisdom and energy they generated. Some aspects however get damaged or hurt by traumatic incidents, like accidents, abuse, shame. These aspects aren't reintegrated normally, but continue to try and perform their appointed task, even though you may no longer want it, even though the aspect may no longer understand what you want.The more these aspects are misunderstood or denied, the stronger their efforts to please you in the only way they can - by performing what they perceive as their original task. Even when in reality this hurts, restricts, interferes or even kills you. Identifying these hurt aspects, honoring them for their intentions, recognizing that they are part of you, seeing them with love and compassion, and without judgment, allows them to finally stop trying, to reintegrate with you, to be healed. All hurt, suffering and imbalance in our lives starts from a misunderstanding. The work teaches to Love What Is. Misunderstanding occurs when we believe incorrect thoughts. Unchecked thoughts can become so fundamental to our lives and perceptions that we don't even notice them for what they are - just a thought. We are not what we think. Thoughts come and go, usually without receiving much or any attention form us. Believing a thought, is identifying with it, desiring it into being with our own creative power, manifesting it into reality and making it so. When we identify with an incorrect thought, it necessarily clashes sometime or other with reality, causing suffering. Observing what causes us suffering, can lead to the original underlying thought animating it. This in turn can reveal the reason one decided to believe the thought and release it. Since early childhood I've had experiences of full connection with my soul and with energetic beings telling me through my feeling and experience both that I am perfect as I am, and that all will indeed work out well in the future. This message is true for everyone. Our journey is to learn through experience that this is so, till we know it in every moment and action we take. While growing up I was drawn to in depth study of religions, eastern philosophy, western and eastern medicine, martial arts and their associated philosophies and medicine, generating all sorts of acronyms to list after my name. I then went through a process of further awakening, along with very strong energetic healing of my traumas and perceptions. At this time I began opening up, allowing me to learn directly from my soul, instead of only studying manmade materials. All of this showed me that every school of thought, belief or healing started out with this same understanding that all is well in all of creation and aimed at bringing people to experience and realize this level of consciousness. At the current level of human consciousness, we can realize our perfection directly, no longer needing the lengthy rituals and processes of development which developed in the old energy consciousness. My goal and practice are to facilitate your awakening. And so do love and joy. Sound good? Come and try it out! www.crimsoncircle.com - an affiliation of new energy teachers, with a lot of excellent channels, information and courses about awakening. www.kryon.com - Kryon is an entity instrumental to the ongoing developmental changes in the Earth and humanity, who offers many teachings on the subject. 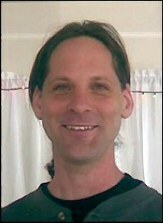 www.thereconnection.com - Dr. Eric Pearl's site. All about the Reconnection and worldwide events schedule. www.thework.com - Byron Katie's site. All about The Work and worldwide events schedule. 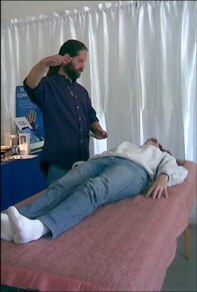 www.boulderhealers.com - an association of healers and psychics in the Boulder area. www.coloradohealersnetwork.com - an association of healers in the larger Denver area.